King Abdullah bin Abdul Aziz of Saudi Arabia has appointed 30 women to the previously all-male consultative Shura Council, marking a historic first as he pushes reforms in the kingdom.The decrees, published by the official SPA news agency on Friday, give women a 20 percent quota in the Shura Council, a body appointed by the king to advise him on policy and legislation.One decree amended an article in the council’s statute to give women representation on the body, while the other named the 150 members, among them 30 women. Women’s rights activists have long fought for the right to vote in the oil-rich Gulf kingdom, which applies a strict version of Sunni Islam and bans females from driving or travelling without the consent of a male guardian. “The [latest] decision is good but women issues are still hanging,” said Wajeha al-Hawidar, a prominent Saudi female activist. “Men can finally respect women when they see them playing a (traditional) male role,” she said. The Inter-Parliamentary Union, an international organisation of parliaments, commended the move as “another step forward” for women’s political rights in Saudi Arabia. “Until the announcement last September by King Abdullah to give women the right to vote, stand for election in municipal elections and be appointed to the Shura Council, the Gulf country remained the only country in the world where women remained excluded from the political process,” the IPU said in a statement. (CNN) — A young Sri Lankan woman has been beheaded with a sword in a small, dusty town in Saudi Arabia, thousands of miles from the lush jungles and idyllic beaches of the country where she grew up. Rizana Nafeek arrived in Saudi Arabia in 2005 and spent her first few weeks in Saudi Arabia working as a housemaid to earn money to support her relatives back home who had been displaced by the massive tsunami in the Indian Ocean the year before. She then spent the next seven years in Saudi jails as she was accused, charged, convicted and sentenced to death in the killing of her employers’ 4-month-old son. Authorities executed her Wednesday in Dawadmi, about 200 kilometers west of the Saudi capital, Riyadh. The family said she had strangled the boy, Kayed bin Nayef bin Jazyan al-Otaibi, after being asked to bottle-feed him. Nafeek said the infant accidentally choked on milk. She found herself plunged into the unfamiliar, unfriendly and — according to many human rights advocates — unfair Saudi legal system. In cases where the death penalty is possible, “defendants are rarely allowed formal representation by a lawyer and in many cases are kept in the dark about the progress of legal proceedings against them,” Amnesty International says. 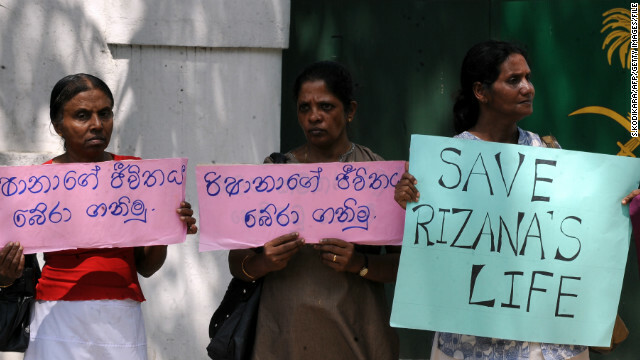 Nonetheless, human rights groups and the Sri Lankan government lobbied Saudi authorities to release her, or at the very least show some leniency in her complicated case. They argued that the courts had failed to take into account Nafeek’s birth certificate, which showed she was only 17 at the time of the baby’s death in 2005, making her too young to receive the death penalty under international law. The passport she used to enter the country, which said she was 23 at the time, was inaccurate and had been falsified, they said. Additionally, she had not had access to lawyers during her pre-trial interrogation during which she said she was assaulted and forced to sign a confession under duress, rights groups pointed out. Right up until the end, they pointed out that the dead boy’s family could still grant Nafeek a pardon or request blood money as compensation. But those arguments and others, as well as numerous visits by Sri Lankan ministers and members of Nafeek’s family, failed to sway Saudi authorities. The death penalty for Nafeek had been approved by the Supreme Court, the agency reported, and a “high order was issued” to carry out the sentence. The Sri Lankan government and human rights groups have sharply criticized Saudi Arabian authorities for the beheading of Nafeek. It shows “once more how woefully out of step they are with their international obligations regarding the use of the death penalty,” said Philip Luther, director of Amnesty International’s Middle East and North Africa program. President Mahinda Rajapaksa of Sri Lanka, who had made personal appeals for clemency in Nafeek’s case, said he and his government deplored the decision to go ahead with the execution. Lawmakers in the Sri Lankan parliament observed a minute of silence Wednesday to mourn her death. But her case appears to be far from a one-off occurrence. In 2012, Amnesty said it had recorded at least 79 executions in the country, 27 of them of foreigners. Saudi Arabia also has a history of carrying out the death penalty on people convicted of committing crimes when they were children, according to Human Rights Watch. Wojdan Shahrkhani became the first Saudi Arabian woman to compete at the Olympic Games when she took part in the +78kg judo competition in London. 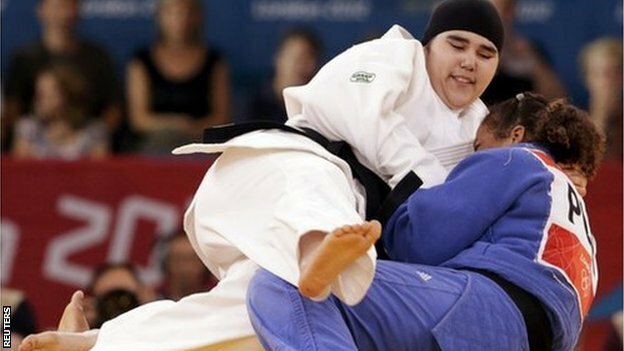 The 16-year-old had been in the spotlight before her event began as judo officials said she could not wear a headscarf for safety reasons. Shahrkhani wore a tight-fitting black cap for her bout which ended quickly in defeat by Puerto Rican Melissa Mojica. “Hopefully this is the beginning of a new era,” Shahrkhani said afterwards. “I was scared a lot, because of all the crowd,” she added. The contest appeared to be an overwhelming experience for the Mecca-born teenager. Despite only being qualified as a blue belt in judo, she wore the higher black belt to compete. The two women engaged in a slow-moving fight, a tentative Shahrkhani on the defensive and seeming cautious about attempting to throw Mojica. The bout ended when the Puerto Rican grabbed Shahrkhani with a secure grip on her collar and flipped her into a match-ending ippon. Mojica said afterwards that everyone had a right to their own religion and should be given an opportunity in judo. Shahrkani is one of two Saudi Arabian females competing at London 2012. The other is American-born 800m runner Sarah Attar. Shahrkhani did not qualify for her Olympic spot but was invited by the International Olympic Committee to compete as the organisation wanted to bring Saudi women to the Olympics for the first time. Her father, Ali, a judo referee, told The Associated Press he “cried like a baby” watching his daughter compete. RIYADH, Saudi Arabia — Plans for Saudi Arabia to send women to the Olympics for the first time appear to be in jeopardy. Saudi Arabian newspaper Al-Watan reported Thursday that Saudi Olympic Committee president Prince Nawaf does “not approve” of sending female athletes to the London Games. But he left room for Saudi women to possibly compete on their own outside the official delegation, a plan that may not satisfy demands by the International Olympic Committee. A similar arrangement was made at the Youth Olympics in 2010 for Saudi equestrian competitor Dalma Rushdi Malhas. She won a bronze medal in show jumping. “I do not approve of Saudi female participation in the Olympics at the moment,” Nawaf was quoted as saying by the newspaper. Officials at the Saudi Olympic Committee could not be reached for comment. The IOC has been in talks with the Saudis about sending women to London. “We are still in discussion and working to ensure the participation of Saudi women at the games in London,” the IOC told The Associated Press in an email on Thursday. Saudi Arabia is one of three countries that have never included women on their Olympic teams, along with Qatar and Brunei. The IOC has been hopeful that all three would send female representatives to London, marking the first time for every competing nation. In a statement Thursday, Human Rights Watch said Nawaf’s comments underline Saudi Arabia’s shaky commitment to granting women rights to participate in sports. A formal proposal for the participation of Saudi women had been scheduled to be submitted to the IOC executive board at its May 23-25 meeting in Quebec City. *Report: Women at Games in Jeopardy. (April 5th, 2012). The Associated Press. King Abdullah of Saudi Arabia on Sunday granted women the right to vote and run in future municipal elections, the biggest change in a decade for women in a puritanical kingdom that practices strict separation of the sexes, including banning women from driving. Women in Saudi Arabia endure strict gender separation, including a ban against driving. Saudi women, who are legally subject to male chaperones for almost any public activity, hailed the royal decree as an important, if limited, step toward making them equal to their male counterparts. They said the uprisings sweeping the Arab world for the past nine months — along with sustained domestic pressure for women’s rights and a more representative form of government — prompted the change. Although political activists celebrated the change, they also cautioned how deep it would go and how fast, given that the king referred to the next election cycle, which would not be until 2015. Some women wondered aloud how they would be able to campaign for office when they were not even allowed to drive. And there is a long history of royal decrees stalling, as weak enactment collides with the bulwark of traditions ordained by the Wahhabi sect of Islam and its fierce resistance to change. In his announcement, the king said that women would also be appointed to the Majlis Al-Shura, a consultative council that advises the monarchy on matters of public policy. But it is a toothless body that avoids matters of royal prerogative, like where the nation’s oil revenue goes. “We refuse to marginalize the role of women in Saudi society,” the king said in an address to the Shura, noting during the five minutes he spent on the subject that senior religious scholars had endorsed the change. Even under the new law, it was unclear how many women would take part in elections. In many aspects of life, men — whether fathers, husbands or brothers — prevent women from participating in legal activities. Public education for women took years to gain acceptance after it was introduced in 1960. Some analysts described the king’s choice as the path of least resistance. 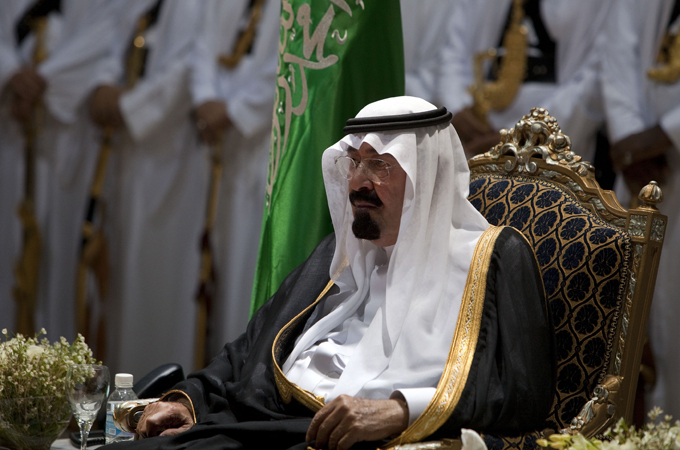 Many Saudis have been loudly demanding that all 150 members of the Shura be elected, not appointed. By suddenly putting women in the mix, activists feared, the government might use the excuse of integration to delay introducing a nationally elected council. Political participation for women is also a less contentious issue than granting them the right to drive, an idea fiercely opposed by some of the most powerful clerics and princes. Even as the king made the political announcement, activists said that one prominent opponent of the ban, Najla al-Hariri, was being questioned Sunday for continuing her stealth campaign of driving. Mrs. Hariri has been vociferous in demanding the right as a single mother who cannot afford one of the ubiquitous foreign chauffeurs to ferry her children to school. In recent weeks, a woman even drove down King Fahd Expressway, the main thoroughfare through downtown Riyadh, activists said. Municipal elections in the kingdom are scheduled for Thursday, but the campaign is almost over and the king said that women would be able to nominate themselves and vote “as of the next session.” Introduced in 2005, the municipal councils have proved disappointing for those who had hoped they would create more political change. Saudi Arabia remains an absolute monarchy. Fouad al-Farhan, once jailed briefly for his blog critical of the monarchy, led a slate of young Saudis from the cosmopolitan commercial capital of Jidda, determined to run in this year’s municipal elections to use whatever democratic openings they might afford for change. When the final list of candidates was posted weeks ago, his name had been unceremoniously removed — without anyone from the Jidda governorate run by Prince Khalid al-Faisal calling him to explain, Mr. Farhan said. Despite the snail’s pace of change, women on Sunday were optimistic that the right to vote and run would give them leverage to change the measures, big and small, that hem them in. Women require the permission of a male sponsor, or “mahram,” to travel or undertake much of the commercial activity needed to run a business. They inhabit separate and often inferior spaces in restaurants, banks and health clubs, when they are allowed in at all. Women were granted the right to their own national identification cards in 2001, the last major step that many hoped would lead to greater public freedom, but it failed to materialize. The Saudi judiciary, a conservative bastion, has yet to allow female lawyers, a new phenomenon, to argue in court. And a royal decree issued earlier this year that women should be allowed to work in public to sell lingerie has not been enacted — leaving Saudi women to buy their bras from male clerks, who mostly hail from South Asia. Social media, heavily used in Saudi Arabia to start with, lit up with the announcement, with supporters endorsing it as “a great leap forward,” as one Twitter post put it. Some conservatives inveighed against it. “Muslim scholars believe it is un-Islamic to allow women to participate in the Shura council,” wrote Mohammad al-Habdan, one such scholar. In March, King Abdullah announced $130 billion in public spending over the next decade on measures like affordable housing, hoping for social peace after the first governments in the region were toppled. But uprisings have continued to challenge Arab governments. Around the Persian Gulf, many citizens of the wealthy monarchies jealously track the rights and largess granted in neighboring states. On Saturday, 19 men and one woman were elected to a legislative body in the United Arab Emirates. Last summer, Qatar granted a notable 60 percent pay raise to all state employees. Such regional and domestic pressures weighed on the Saudi monarchy to make some type of gesture. The one King Abdullah chose was less sweeping than many political activists had wanted, but one they hoped was a sign of more to come. “It is not something that will change the life of most women,” said Fawaziah Bakr, an education professor in Riyadh, noting that she had just held a monthly dinner for professional women who were buzzing with excitement about the change. Nada Bakri contributed reporting from Beirut, Lebanon.